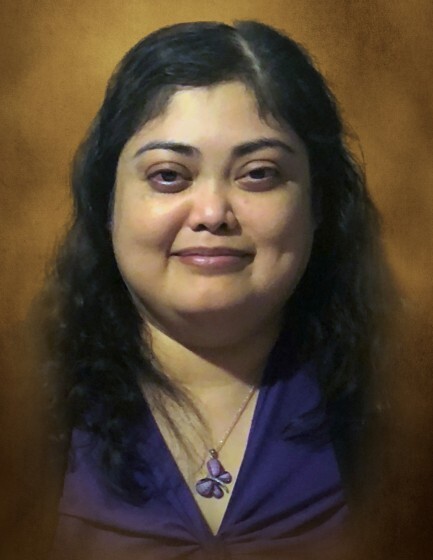 Lorena Balcazar, age 38, passed away on Tuesday, January 22, 2019. Lorena is survived by her parents, Ceferino and Alejandrina (Diaz) Balcazar; siblings, Luciano Balcazar, Lorenzo Balcazar, Norma (Hernan Sr.) Martinez, Angelica (Gustavo) Estrada, Jose A. Balcazar; nieces, Melina, Angelina, Sebrina, Adriana, Lexi, Gianna; nephews, Luciano Jr., Hernan Jr., Lorenzo, Isaiah, Fernando, Alan, Francisco; cousins, Veronica and Grasiela; and godparents, Angel and Micaela Zamudio. Preceded in death by her paternal grandparents, Lorenzo and Martina Balcazar; maternal grandparents, Victor Diaz and Felipa Morales; and uncle, Barnabe Martinez. Lorena was born and raised in Joliet, IL. She was diagnosed with Wegener’s Granulomatosis at the age of 14 and courageously battled her condition for 24 years while never complaining. Throughout her life, she overcame the struggles of dialysis, two transplants, cancer, and a leg amputation. Lorena enjoyed arts and crafts, puzzles, and board games. She also had a love for movies and family gatherings. She will be dearly missed by all who knew her. In lieu of flowers, donations to Wounded Warrior project would be appreciated. A celebration of Lorena’s life will begin on Friday, January 25, 2019 with a visitation at Tezak Funeral Home, 1211 Plainfield Road, Joliet from 6:00 p.m. until the time of service at 7:30 p.m. Chapel prayers will be held at the funeral home the next morning at 11:00 a.m. then driving in procession to Elmhurst Cemetery in Joliet for a committal service.